In small bowl, mix together the honey and mustard. Remove 2 tablespoons of the honey mixture and place in flat bowl. To these 2 tablespoons add 2 egg whites and lightly whip. Reserve the rest of the honey-mustard mixture for dipping sauce. Crush the pretzels to small bits and pour into another shallow bowl. TIP: We put them in a heavy plastic bag and crush them with a rolling pin. Great for relieving any pent up stress! Place potato starch in a third bowl. Take each piece of chicken and coat lightly in the potato flour. Remove and dip into the egg/honey/mustard mix. Let any excess drip off. Now generously roll in the pretzel crumbs. Place onto cookie sheet and when the sheet is full, spray the pretzel chicken pieces with a non-stick oil spray. Turn them over and spray the other side. Now bake in oven, turning once, for approximately 8 minutes per side. 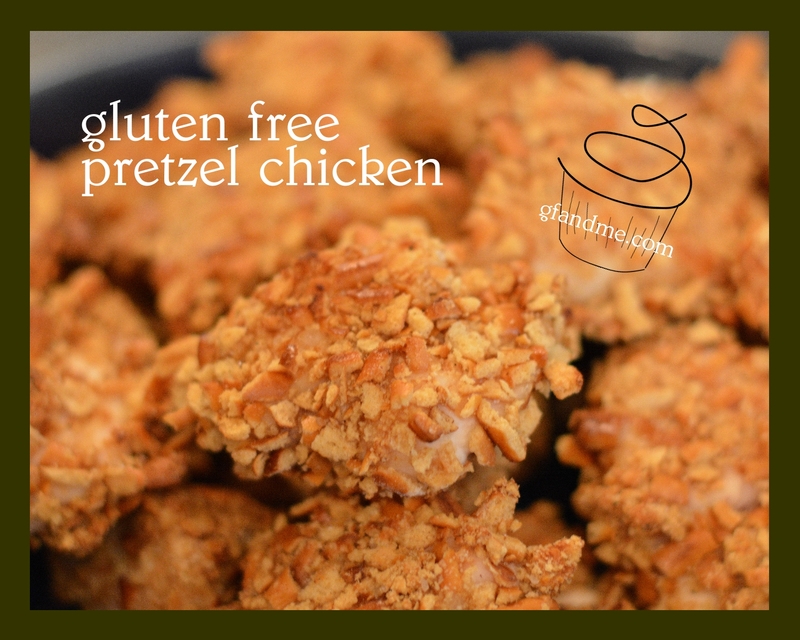 This entry was posted in Lunch and Dinner, Recipes and tagged chicken, gluten free, glutino pretzels, potato flour. Bookmark the permalink.